John Clark dropped by Sacred Heart Mission today, and he took the below photo of our very first large long-term crane on a Baumgart Clark Architects project! This is something of a milestone, and Project 101 for the Mission is certainly our biggest project to date. We are all very happy about this, it is great to see this exciting project coming out of the ground. 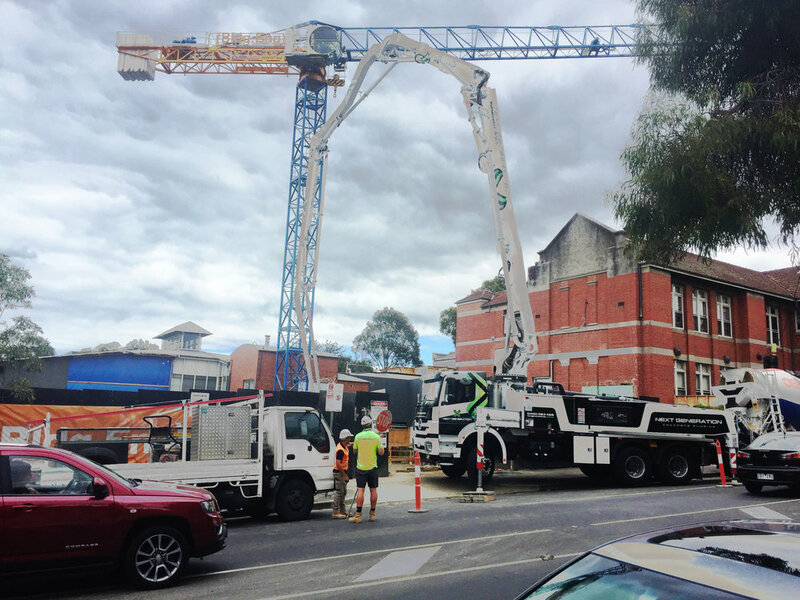 Of course, our first actual crane of any type on a job was up at the Flecknoe Building in Ballarat, for Federation Uni, but that was a mobile crane and only on site for a week or so.